The inaugural NWP Midwest Conference is officially in the books, and as NWP way-of-being would suggest, a little writing and reflection is in order. 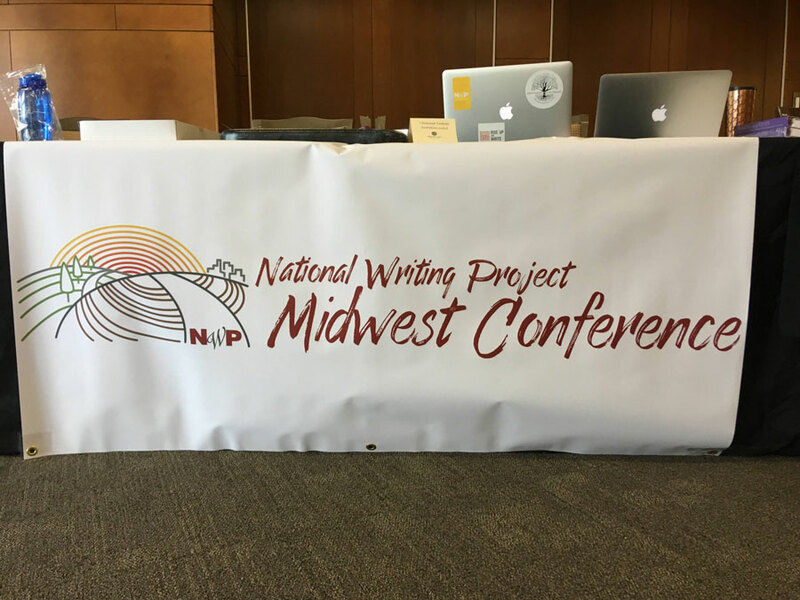 Almost two years in the making, having first been hatched at the 2016 NWP Annual Meeting in Atlanta, the conference was held on a beautiful August weekend in Madison, WI. About 130 NWP colleagues from throughout the Midwest (and beyond) came together for a weekend of connecting, collaborating, and learning with one another. The weekend featured a Literacy & Learning for All pre-conference workshop and keynote from Chippewa River Writing Project director and digital literacy guru Troy Hicks; writing marathons that took attendees on a writing exploration through a variety of beautiful and iconic Madison locations; and 40-plus workshops and roundtables facilitated by NWP colleagues. As one of the organizers of the conference, my ability to partake in sessions during the conference was somewhat limited. That being said, the opportunity to connect, collaborate, and learn with my beloved NWP colleagues was not. 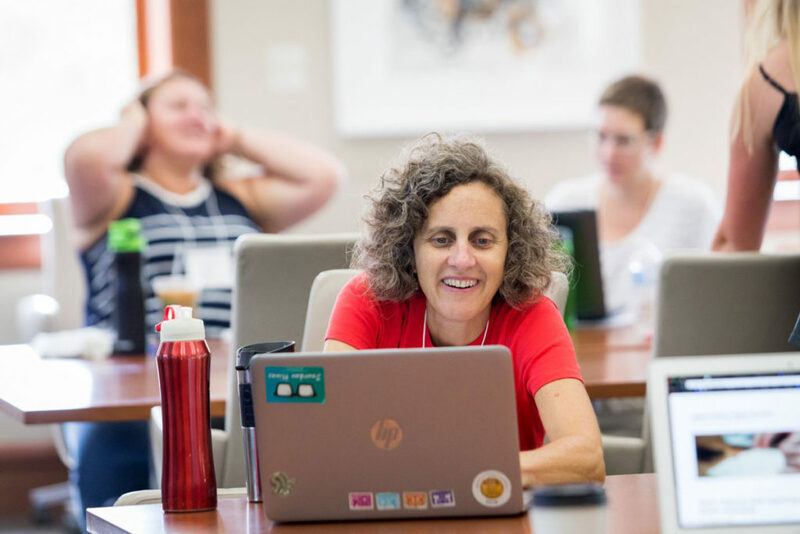 So here are a few of my big takeaways from the conference and on the importance of Writing Project gatherings like this for helping teachers connected to local sites feel connected to this national network of amazing educators. Connect. Collaborate. Learn. Yes, that was the conference tagline, but more importantly, that tagline established the guiding principles from inception to completion of the conference. We discussed many potential ideas for the conference, and we continually came back to those guiding principles when deciding whether or not to move forward with an idea. Does the idea bring people together to write, share practice, learn, or make/extend a relationship amongst colleagues? Yes? Ok, then let’s do it. No? Well, as good/fun/cool as the idea might be, it doesn’t fit our mission for the conference. Mission creep is always an issue—especially when you have so much good work you want to do and share and build. There is a time and place for all of the good work. The conference just might not be it. Almost universally, becoming a better teacher of writing is what drew each of us to NWP. We want to do a better job for our students. 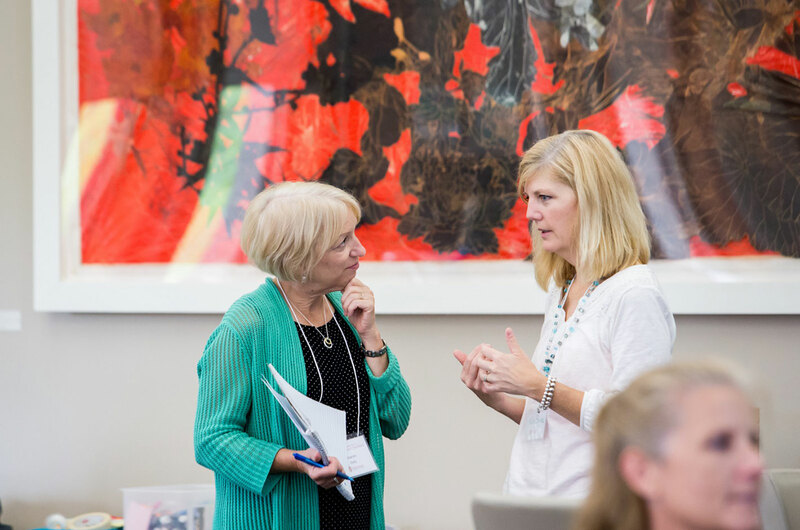 You likely cherish the NWP friendships you developed at your summer institute or have made through other NWP work. And that—the work—is foundational to those friendships starting and growing. As my NWP mentor Pat Fox taught me long ago, it is the work of the Writing Project that keeps people coming back, keeps them energized. Don’t get me wrong, the social aspects of the Writing Project are important, but it is the work of teaching and writing that brought us and keeps us together. One of the sessions at the conference focused on a powerful youth advocacy writing camp called Rise Up and Write (site self promotion disclaimer!). Skylar Primm, one of the presenters for the session, shared some of his key insights from facilitating the camp in a recent blog post for the GMWP blog. Although he was writing about his work with youth activists, his message and blog title are just as applicable here—Set Them Up and Get Out of the Way. The inaugural NWP Midwest Conference is almost a month in the rearview mirror and the ripple effects are just beginning. Individuals have headed back to their classrooms to implement new ideas. Friendships formed during the writing marathon are extending into classroom collaborations. 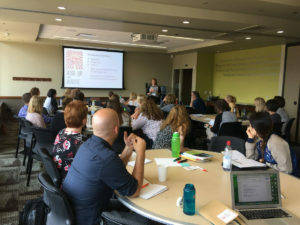 Connections across Writing Project sites are being strengthened and new ideas are emerging. This in and of itself would be enough to call it a success. But because of the hard work and dedication of everyone who helped make the inaugural conference happen—from everyone who initially met to discuss the idea to all who planned and promoted this year to those who attended to those who are taking on the next iteration—the connections, collaboration, and learning will continue during year two in Minneapolis next August 2–3.